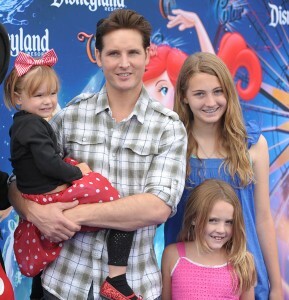 Peter Facinelli Treats His Girls To Disney's World of Color! 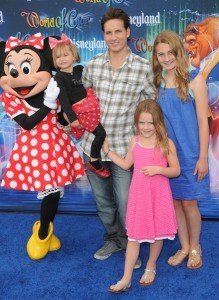 Home » Peter Facinelli Treats His Girls To Disney’s World of Color! Peter Facinelli Treats His Girls To Disney’s World of Color! Last night Disneyland park goers were treated to an 18-minute World of Color spectacular that featured an array of dancing fountains, movie projections and lighting effects all tied to the original Sherman Brothers musical score from the 1960s television show. On hand for the premiere showing of the amazing watershow was Twilight’s Peter Facinelli and his 3 daughters Luca, Lola and Fiona.